Back for a sixth time, Africa Utopia at the Southbank Centre looks at how African art and ideas can change the world for the better. Highlights in 2018 include Amadou & Mariam at the Royal Festival Hall, the Chineke! Orchestra performing a free jazz-infused concert at Queen Elizabeth Hall, and the UK premiere screening of a film based on Nnedi Okorafor's short story Hello, Moto. 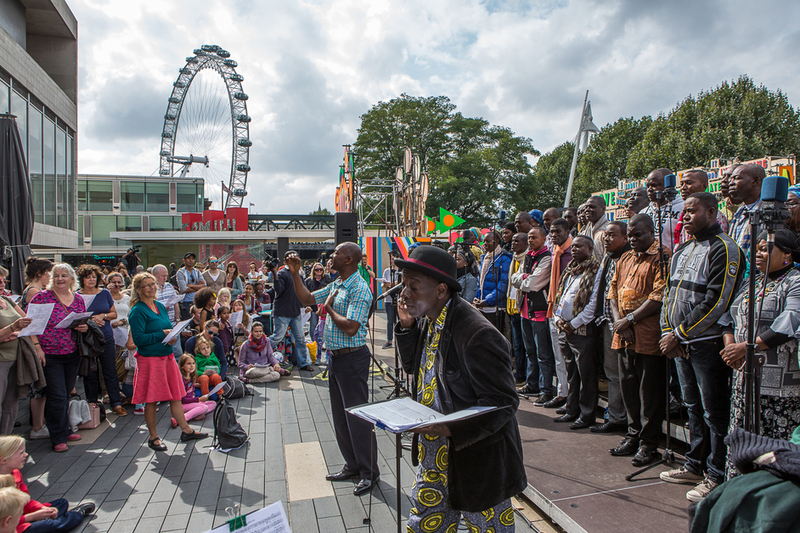 Come to the festival for comedy, poetry, interactive theatre, literature, talks and a free outdoor gig by Kasai Masai, blending African rural and urban music. Further free activities include craft workshops from AFRORETRO, the Afro Dance Championships and an outdoor Block Party on the Festival Terrace. The Africa Utopia Marketplace returns with over 30 stalls selling African-inspired fashion, accessories, books, art and homeware. What are the best dining options near Africa Utopia London? Africa Utopia gyms, sporting activities, health & beauty and fitness. The best pubs near London Africa Utopia. Africa Utopia clubs, bars, cabaret nights, casinos and interesting nightlife. Where to have your meeting, conference, exhibition, private dining or training course near Africa Utopia.